A court has ordered Health Canada to reconsider its decision not to review the effects of a popular herbicide, a ruling that some say will strengthen the public's hand in forcing the government to answer environmental concerns. "We put a crack in the door," said Josette Wier, who took the government to court after a forestry company began spraying Roundup from airplanes near her Smithers, B.C., home. "That door was locked — it was impossible." Wier asked for a judicial review of that decision. She dropped the studies concerning human health and focused her case on the herbicide's effects on frogs and salamanders. This week in Vancouver, Federal Court Justice Michael Kelen put aside Health Canada's original decision and ordered the government to look again at Wier's request. "The decision is not transparent or intelligible, because the decision does not expressly address the narrow environmental risk at issue in this case," Kelen wrote. He noted that while the Canadian Forest Service had done field studies suggesting the risk was minimal, the B.C. government had concerns and suggested a re-evaluation of the risk. A spokesman from Health Canada was not available to comment. The department has 30 days to appeal the ruling. 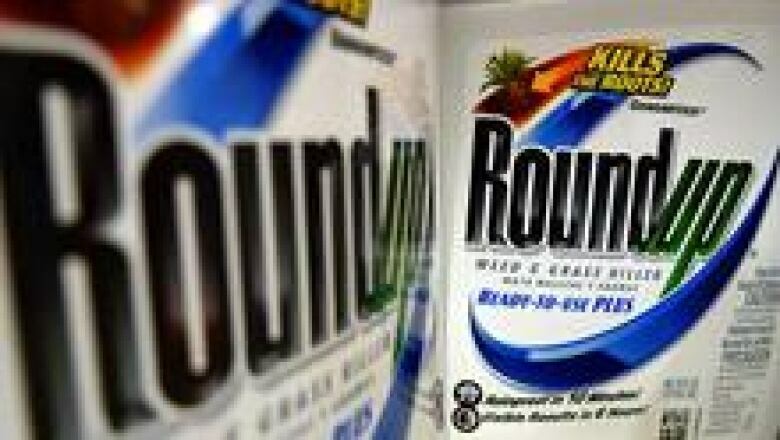 Health Canada had planned a major review of Roundup in the near future. But Kelen ruled that review would take too long to address Wier's specific concerns. He added that reviewing scientific literature informally isn't good enough. Lawyer Jason Gratl, who argued Wier's case, said the judge's decision gives the public more power in ensuring environmental concerns are dealt with. "Members of the public, just by bringing information to the minister of health, require [her] to review [herbicide] products," he said. "It's got to be evidence of sufficient strength to raise a credible concern that there might be some possible risks associated with the [herbicide]. It's a pretty low bar, actually."